Chronic kidney disease (CKD) is a progressive loss in kidney function over a period of months or years. Your kidneys are made of millions of nephrons which, for a variety of reasons, stop working when you develop CKD. The more your nephrons shut down, the worse is your kidney function. Once your kidney function is lost, the few healthy nephrons left in your kidneys will not be able to filter your blood and keep your body healthy. Yet, it is possible to prevent or at least slow down the progression of CKD through an early diagnosis. You’ll be wondering: what are the symptoms of CKD? How can we detect the problem early enough to save our kidneys? The answer is not straight forward: CKD usually has no symptoms at early stages. For this reason, World Kidney Day recommends two things: on one hand, we suggest you to have regular health check-ups including the functioning of your kidneys, on the other hand, we encourage you to adopt a healthy lifestyle, which can reduce your chances to contract diabetes, hypertension, obesity and other risk factors that trigger CKD. In fact, if you already suffer from one or multiple of the aforementioned disease, you are at an increased risk of developing CKD and monitoring your kidney function regularly is particularly important. 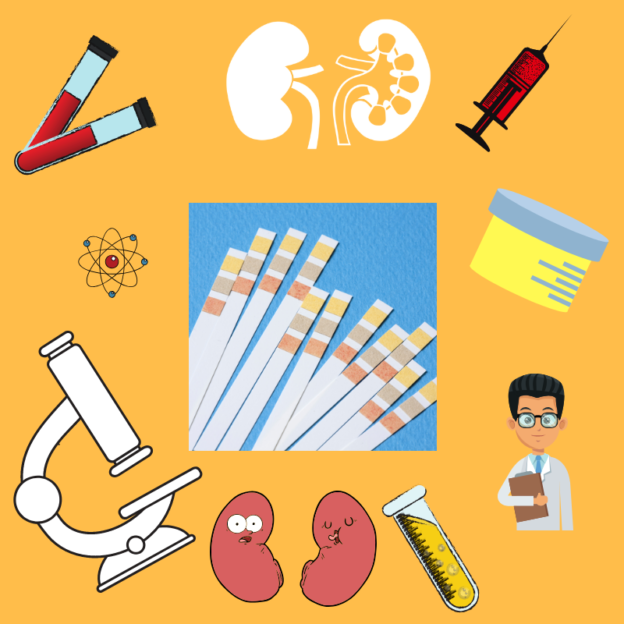 Detecting the loss of kidney function can be done by measuring your blood creatinine (to estimate how much blood is being filtered by the kidneys) and by a urine sample (to check whether there is protein in the urine). More specifically, the presence of urine albumin (a type of protein) indicates the that there is risk of having CKD. We recommend to see a doctor or other health professional as she/he is the only one able to provide you with a comprehensive diagnosis. Knowing more about how well your kidneys function is powerful information in the absence of symptoms of early CKD, especially if you suffer from hypertension and/or diabetes or you have had cases of kidney failure in your family. Have fun and check your kidneys!